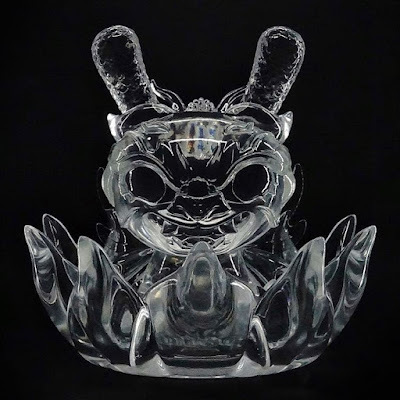 Later today, Kidrobot will be releasing this beautiful Crystal Clear Imperial Lotus Dragon 8” Dunny by Scott Tolleson! Cast in perfectly clear resin and including a beautiful base also designed by Tolleson, this Clear Edition looks absolutely stunning!!! Only 15 of these resin figures will be made available, and they will go on sale at 10am MST today, Thursday, December 8th, exclusively at Kidrobot.com.